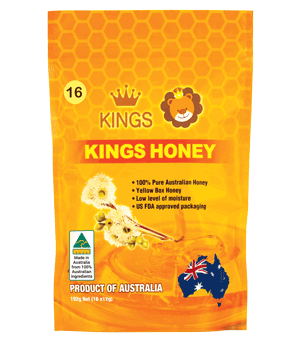 Kings Honey is 100% pure Australia Yellow Box honey. 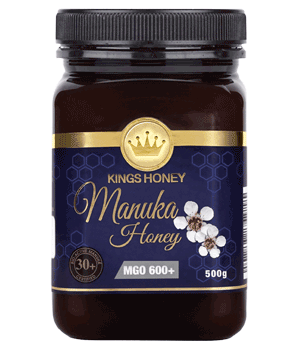 It is derived from the Yellow Box tree blossom, producing a clean and characteristically, mild honey flavor. It is generally extra light-to-light amber in color. Yellow Box honey is a popular choice for adding to tea and coffee and for general cooking. 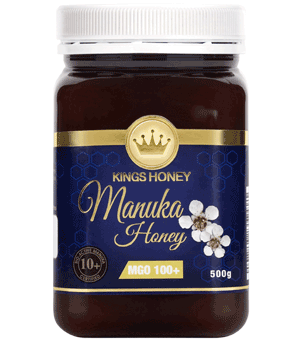 It is slower than some honey to crystallize and also has a lower GI making it a perfect choice for diabetics. 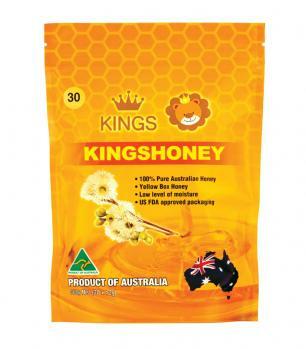 Yellow Box is one of the most popular honey varieties in Australia. 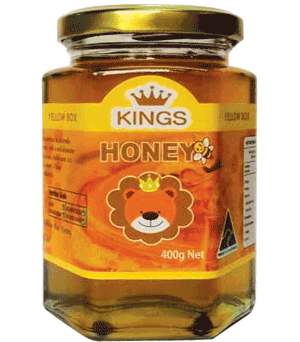 The design of Kings Honey Straw is easy to use, hygienic and suitable for any occasion. Estimated delivery dates include seller’s handling time, origin postcode, destination postcode and time of acceptance and will depend on postage service selected and receipt of cleared payment. Delivery times may vary, especially during peak periods. Will usually send within same business day if paid before 14:00 AEDST (excludes weekends and holidays). Expected post time may vary and is based on seller’s order cut-off time. 7 days after the buyer receives it. The buyer is responsible for return postage costs. If you have simply changed your mind we will gladly exchange it. Under this situation, the customer is responsible for return postage to our warehouse. Returns that are damaged or soiled (including packaging) may not be accepted and may be sent back to you and/or exchange refused. Refunds by law: In Australia, consumers have a legal right to obtain a refund from a business for goods purchased if the goods are faulty, not fit for purpose or don’t match description. More information at returns . Unit 2, 344 Ferntree Gully Road, Notting Hill, VIC 3168, Australia. All Rights Reserved 2009-2017 CBS International Pty. Ltd.